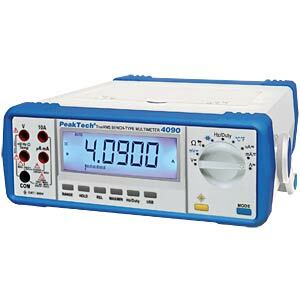 This digital desktop multimeter features high-precision measurement functions and a large 4 ½-digit LCD display with backlight. It can be used in laboratory networks or for mobile service tasks in battery mode. In this way, the device provides a wide variety of applications. 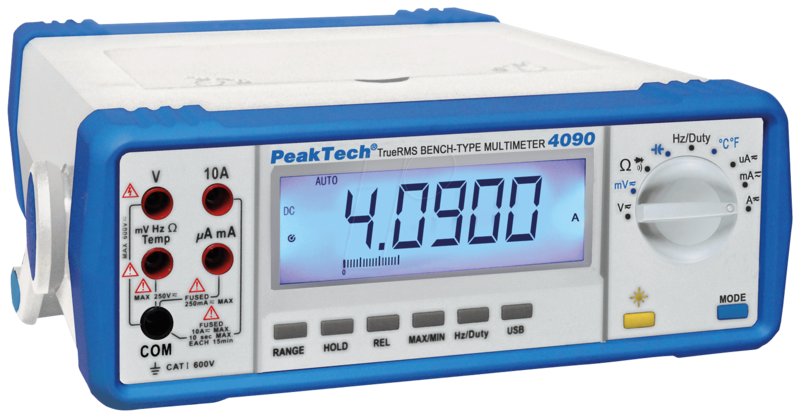 The useful functions, such as true RMS measurement, relative value measurement, maximum/minimum value functions and measured value hold function, complement the versatility of this device. 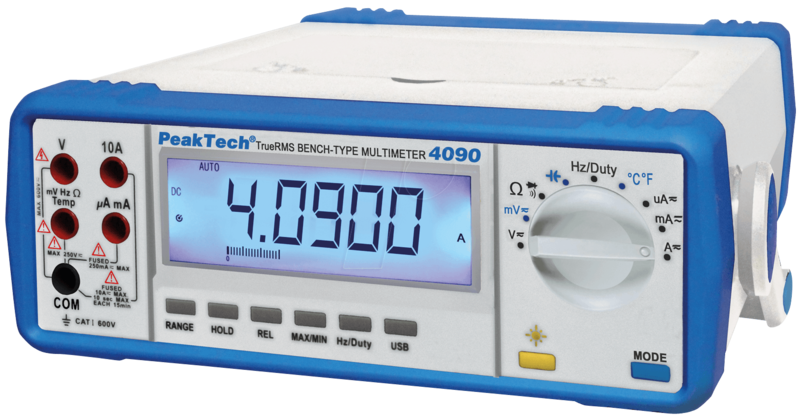 All measurement results can be displayed and saved on a PC using the optically coupled USB interface and software. The graphical software features exclusive, dynamic scaling that makes very small alterations of measured values visible. 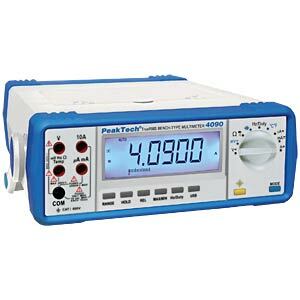 In conjunction with a PC, this desktop multimeter becomes an extremely versatile data recorder. Operating voltage: 100 ~ 120 V/200 ~ 240 V AC, 50/60 Hz switchable ext.